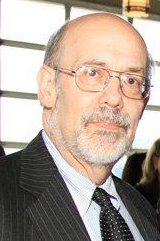 NCLEJ Board member Edward P. Krugman has joined the organization as a volunteer Senior Attorney, effective January 17, 2017. Ed recently retired as a Partner at Cahill Gordon & Reindel LLP, where he remains a Senior Counsel in the insurance litigation and commercial litigation practice groups. “Ed is an excellent lawyer with a deep commitment to NCLEJ’s mission, and we are delighted that he will use his vast experience and well-honed skills to benefit our clients,” said NCLEJ Executive Director Marc Cohan in making the announcement. Ed has successfully litigated in state and federal courts throughout the country, at trial and on appeal. Known principally for his work in insurance and reinsurance, his practice and background were broader, encompassing virtually every type of business litigation. He has been described as “brilliant,” “absolutely first-rate,” and a “go-to person” by Chambers USA and is one of only five U.S. insurance and reinsurance lawyers named in Euromoney’s worldwide The Best of the Best expert guides.